One of the great things about being a chef is not only being able to cook for others but also for one's self. And on slower days--such as today--I do just that, so today I served food that I like to eat. 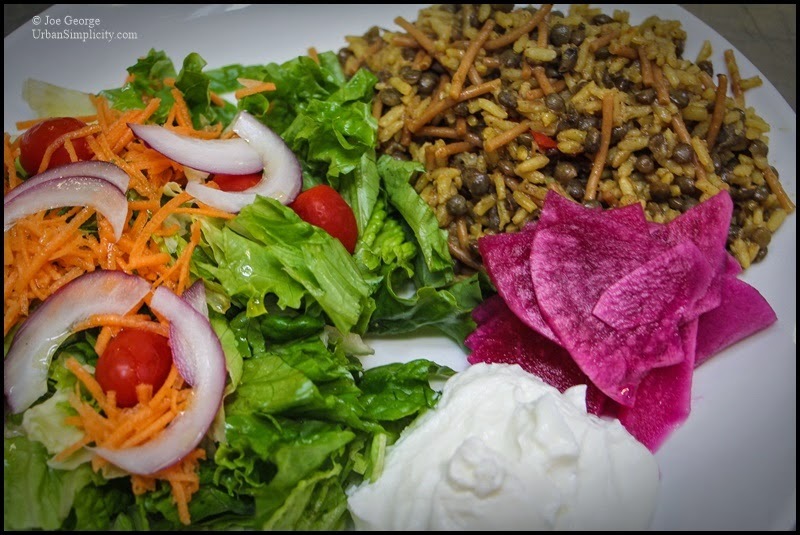 There was salad, of course, and (labneh) thick yogurt, but also moudardara (rice and lentils), and kabees el lift (pickled turnip colored with beet). Yum. If you would like to make your own yogurt, click here for a recipe. For the moudardara recipe, click here. And for the fermented turnip pickles, click here.